Preheat oven to 400 degrees. 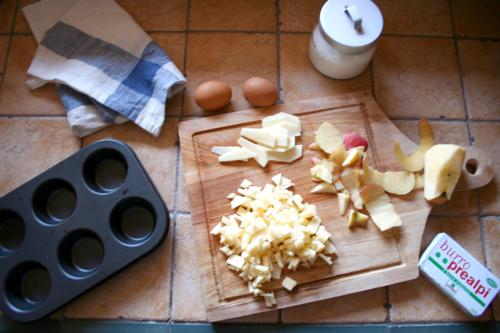 Spray a 12-cup standard muffin tin with cooking spray; set aside. Cut 3 apple quarters into 1/4-inch dice; cut remaining apple quarter into 12 thin slices for garnish. Whisk together sugars, flour, baking soda, salt, and cinnamon in a medium bowl. Add diced apple and almonds, toss to coat. Whisk together eggs, buttermilk, and butter in a small bowl. Gently fold buttermilk mixture into flour mixture until just combined; do not overmix. 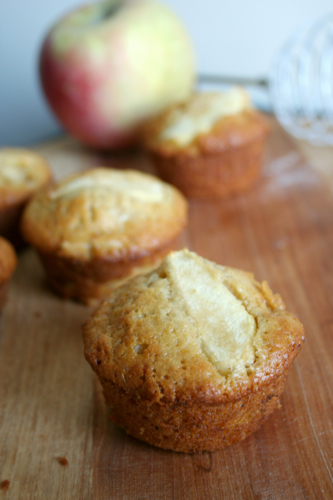 Divide batter among muffin cups, filling each about three-quarters full. 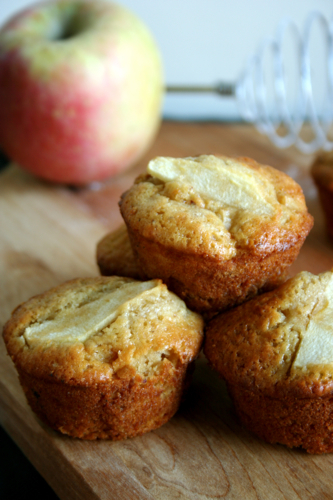 Top each with an apple slice and a sprinkle of sugar. 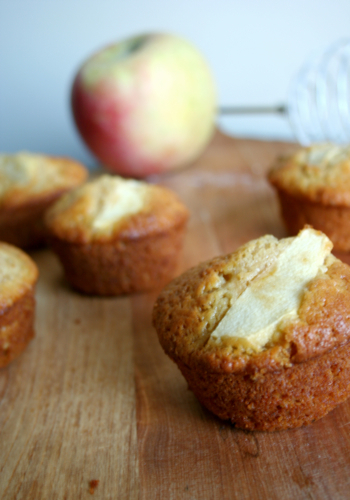 Bake until muffins are brown around edges and spring back when touched, 16 to 18 minutes. Let muffins cool slightly, about 5 minutes, before turning out of tin onto a wire rack. Serve warm or at room temperature. As I went back to the country villa kitchen with the leftover muffins, I heard Barbara sneak in behind me, looking longingly at the last two. I packed them up for her and gave a “sh” signal. She gave me a thumbs up on the recipe and a wink and returned to the others.